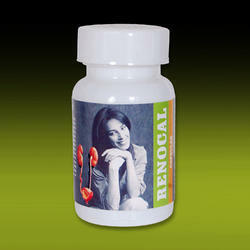 We are offering Stone Treatment Capsules. Kidney stones are becoming one of the most common urinary disorders affecting people across the world. In the US alone according to National Institute of Health over 10 million people are diagnosed with kidney stones each year. Kidney stones are a recurrent problem that keep forming once you've had them. The only way to permanently treat the problem is to resume the kidney's ability to keep minerals dissolved in urine. The symptoms are usually classic such as pain in the lower back or groin area. It can be dull or extremely excruciating depending on its size and shape. Sometimes people see blood in their urine. You may even feel a sudden urge to urinate or have discomfort while passing urine. Looking for Kidney Stone Disorders ?